Online payment service provider PayU and Kreditech, a German consumer lending company, has launched a beta phase of PayU Mondeo in India, which will provide cardless equated monthly instalments (EMIs) to finance the online purchases of consumers in India. PayU Monedo combines PayU’s broad merchant distribution network with Kreditech’s machine learning (ML) based real-time underwriting capabilities and its Lending-as-a-Service platform Monedo. The Lending-as-a-Service proposition allows partners to integrate Kreditech’s credit products via an API into their own platform and services. The two companies first joined forces last May to develop a proposition for cardless EMIs, with Kreditech receiving a €110 million investment from PayU (the largest investment in a German fintech company to date). With PayU Monedo, PayU and Kreditech aim to bridge the credit gap for the banked and underbanked population in India by offering instant short and medium-term shopping credits for their cart amount at the checkout of popular e-commerce websites. The credit decision requires no manual intervention and customers can receive credit of up to $2,000 in less than two minutes for their online purchases at charges comparable to local banks, the two companies say. The duration of the credit line and interest rates for cardless EMI are dynamic and entirely dependent on the likeliness of the individual customer and the merchants to repay the loan. “Both PayU and Kreditech share the same mission to increase the financial freedom of people with limited access to banking services”, states Alexander Graubner-Müller, CEO at Kreditech. 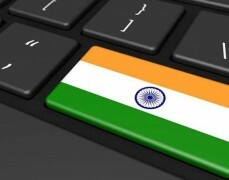 With the addition of India, Kreditech now covers four markets (the other three are Russia, Spain and Poland). The company was set up in 2012 and has originated more than two million loans, serving 800,000 customers and employing 400 staff. It is financially backed by PayU, J.C. Flowers, Peter Thiel, and the World Bank’s International Finance Corporation (IFC), among others. PayU operates across 17 high-growth markets, offering 250+ payment methods and PCI certified platforms. It more than 1,800 payment specialists supporting PayU’s 300,000+ merchants.